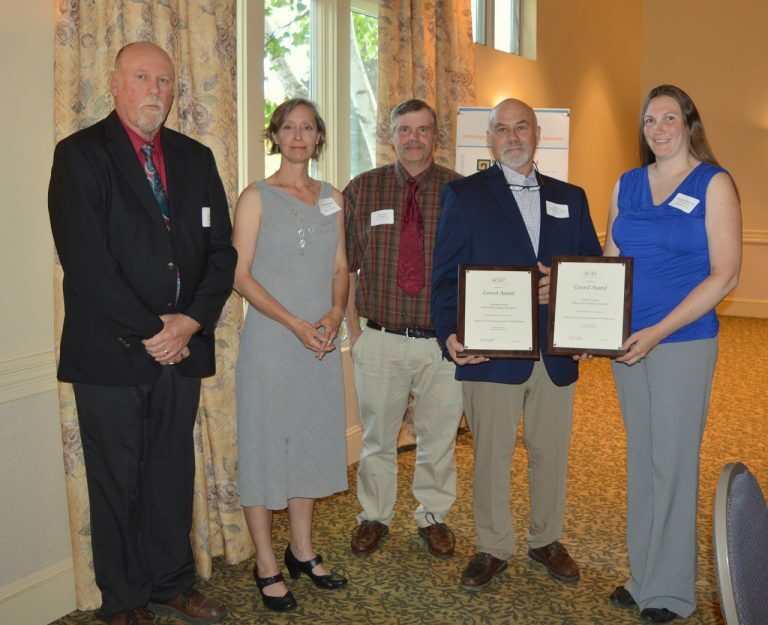 Dufresne Group was awarded the Grand Award in the Environmental Category of the 2018 Engineering Excellence Awards from the American Council of Engineering Companies for the Bellows Falls Asbestos Cement Pipe Replacement via Pipe Bursting project. Only three Grand Awards were awarded throughout the six categories this year. In 2016, Vermont became one of the first few states to allow asbestos cement pipe replacement with pipe bursting through a demonstration project with the Bellows Falls Water Department. The Bellows Falls project included approximately 6,600 feet of asbestos cement pipe replacement along Route 5 in Rockingham, VT. Due to several significant constraints, it was clear that typical replacement methods would be costly. Pipe bursting was identified as a cost-effective method of pipe replacement that would work within the project’s constraints. Using pipe bursting, the water transmission main was replaced with a 26% lower cost and 70% shorter project duration (as compared to open trench replacement). Click here to view the award submission poster board highlighting the project background, challenges, and successes. We hope to see you at one of these events! If you can’t make it but would like to get more information on pipe bursting as a method to replace AC pipes, please contact Christina Haskins at chaskins@dufresnegroup.com or 802-768-8291.